Creating a Mason Jar Lid Wreath is a beautiful way to create a non round Christmas wreath in any size to display on your door! Easy to make, this mason jar craft tutorial will help you along to create this fun holiday craft, that even if you can’t craft- you can! 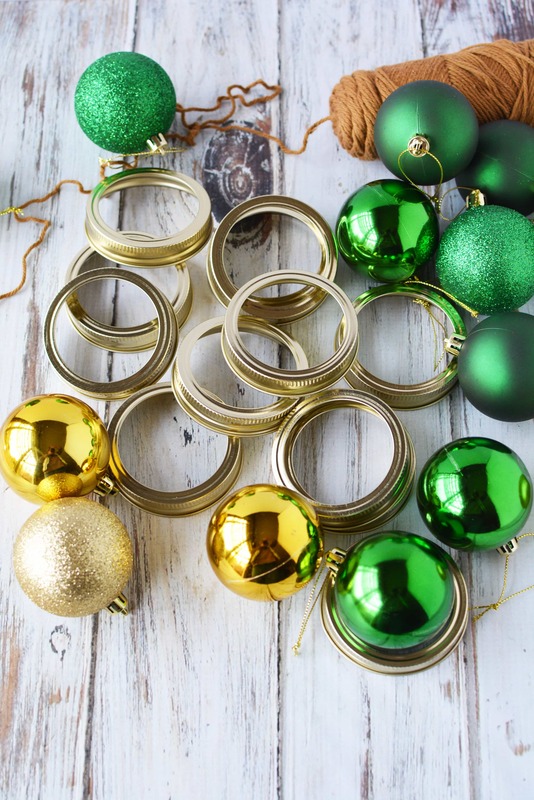 See below for how to turn your left over mason jar lids into a fun holiday display. 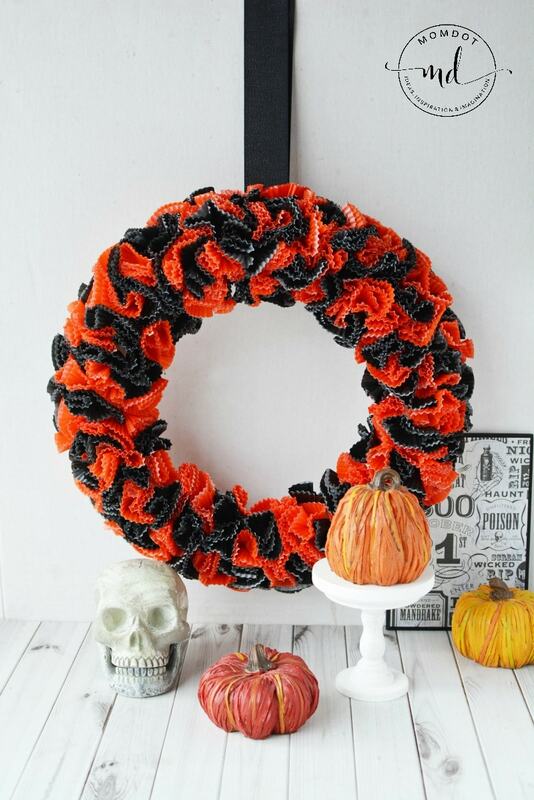 I love holiday wreaths as evident by past crafts like this Halloween Wreath, Turkey Wreath and even New Years Wreath. They are so fun to display not only on your front door but also inside your home on bathrooms and bedroom doors. In fact, one of my favorite indoor wreaths is this candy cane wreath and that one would also make a great mix for your decor. Of course this wreath tutorial is no exception and is so super easy that even a child can assist with (of course not the hot glue, that is for adults!). So gather the supplies below and let’s get started on making this awesome mason jar lid wreath craft! Before you get started, make sure you have plenty of Mason Jar Lid Bands . You do not have to purchase mason jars to get these. Be careful that you do not just purchase “lids” as often times they lids are one piece with a center or just the top lid and not the band. 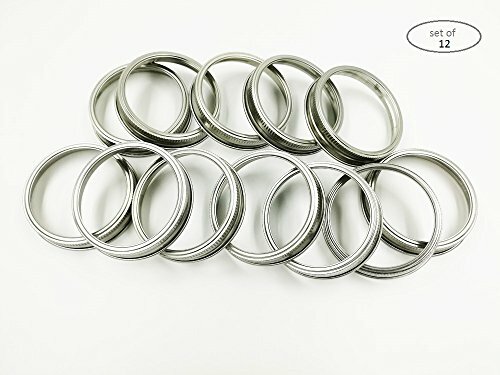 Here are few we found that are the correct bands you need. 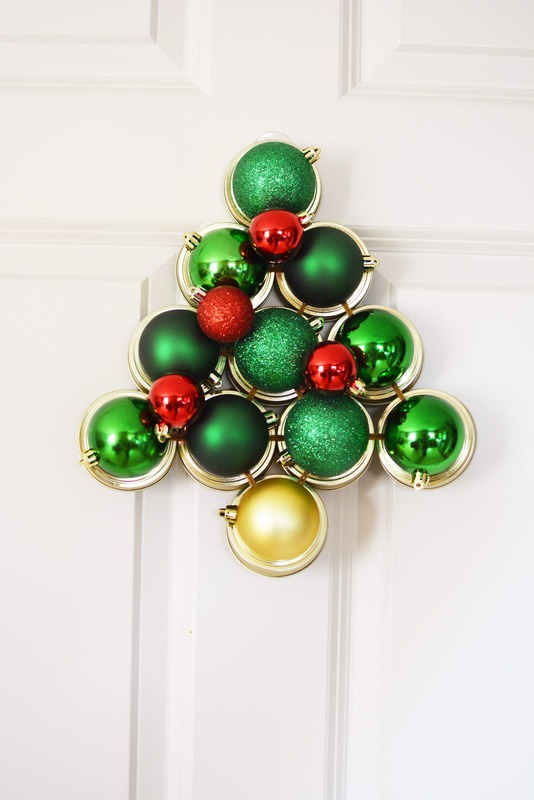 While this craft is a small tree wreath, feel free to make yours larger! 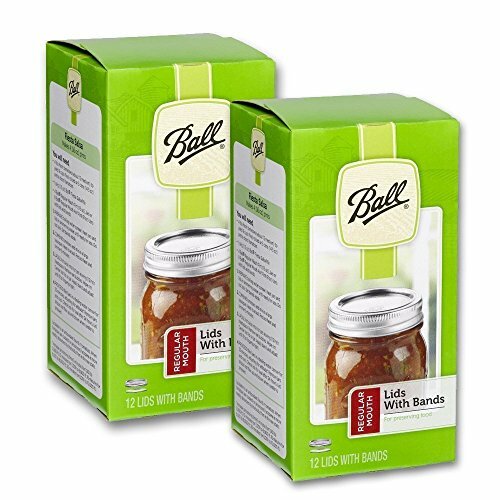 They are called Canning Bands or Mason Jar Bands. To get started on your wreath, first trim any strings off of the ornaments. You do not want pieces hanging off your tree that will look unsightly or get in the way and get snagged. Not all ornaments have strings on them. My green ornaments had strings but not my gold ones! 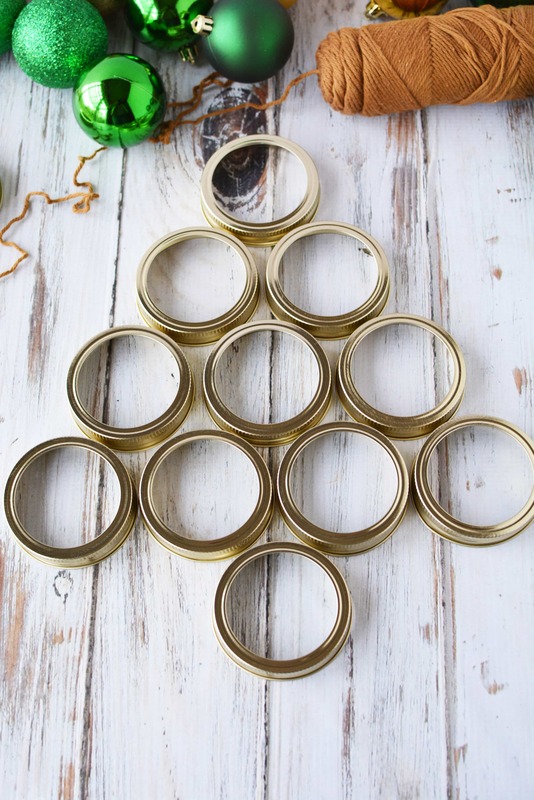 Now place canning jar bands on a flat surface in a tree shape. Cut yarn and wrap it twice around 2 jar rings to hold them together. Secure with a double knot on the back of the ring, and trim the ends. 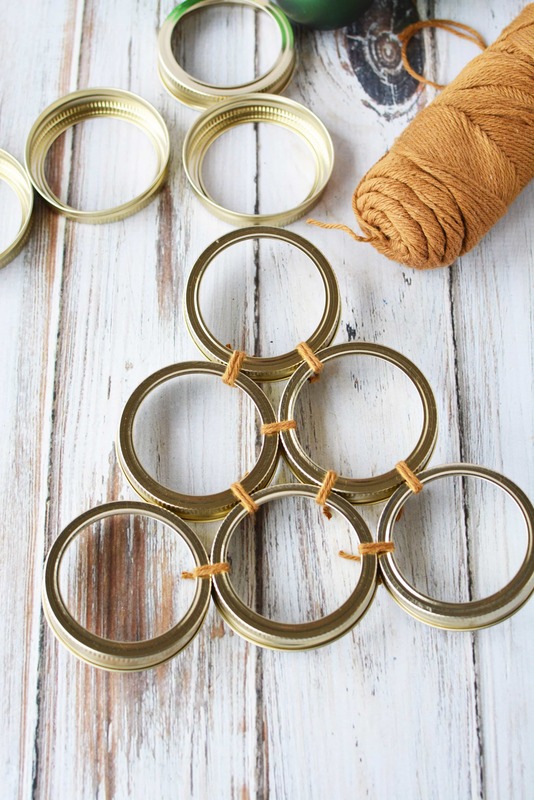 Continue wrapping yarn around mason jar lid rings and secure them together until you have a tree shape. 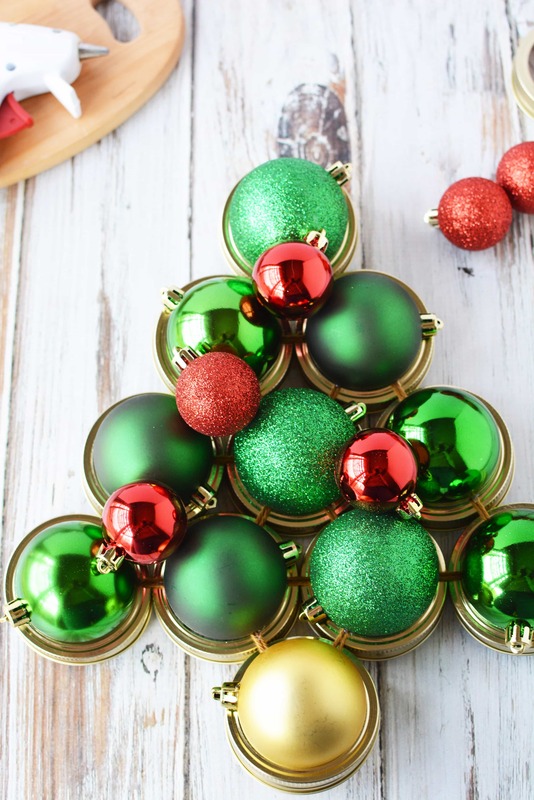 Your tree may begin to “bubble up” and not lay flat on the table as the jar rings have a lip on them, preventing the rings from laying flat. Do not worry if they do! The tree will come together with this “bubble” and hang fine. >Once your rings are all together, flip your tree over so it’s right side up on the table. Place your green bulbs into the rings as desired. Lift each bulb out of the jar ring and add hot glue to the yarn then press the bulbs into the ring. Repeat until all jar rings have a green bulb. Finally, add the gold bulb as the tree stem. 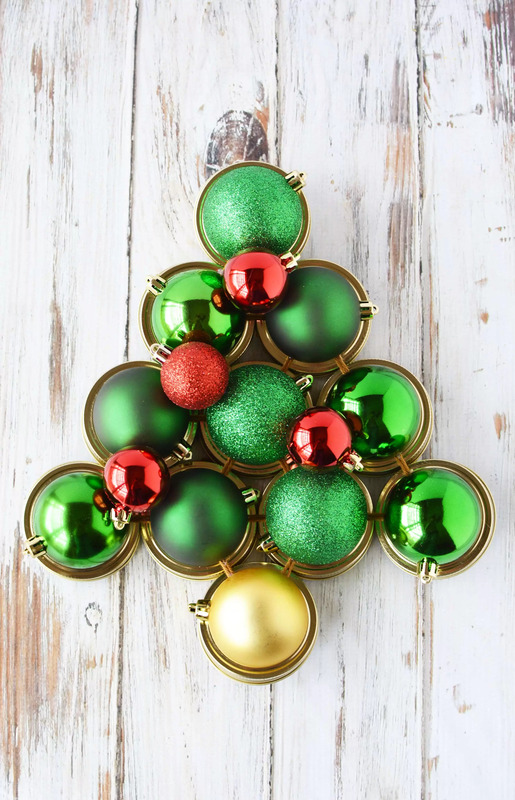 Add small red bulbs to the tree to look like ornaments. Because the lids have a natural indentation, you can use a command strip to put on the lids OR if you prefer, add an extra string for hanging. 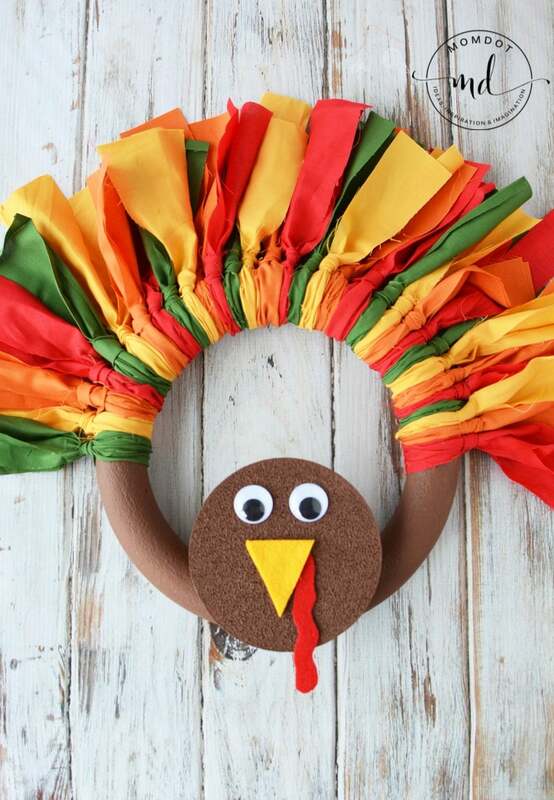 Before you go, please check out my other holiday wreath tutorials! Just click the image you are interested in to be taken to the wreath instructions. 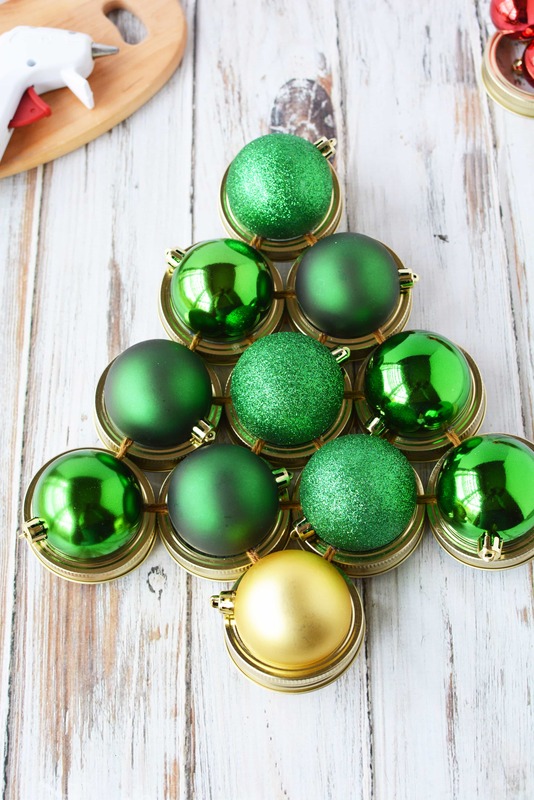 I was thinking if I made this I’d hide the tops of the ornaments underneath (especially if they didn’t match the rings). 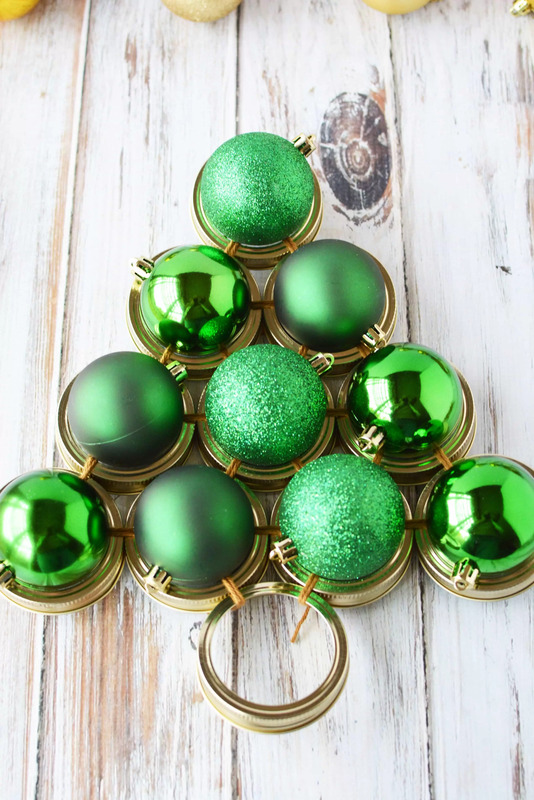 And just a thought, if you didn’t want to use smaller ornaments for decorations, this could be cute with the larger outdoor christmas light bulbs glued in for a splash of color. That would be a really cute idea too!